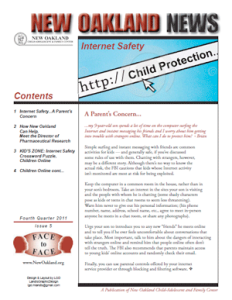 Blog posts with a category of Online Safety. Who knows about bullying? Look in the mirror! New Oakland is dealing with it by having myself and some of our other therapists take part in a 20 school tour around metro Detroit sponsored by “Defeat the Label” and “Amp Radio,” 98.7. October is national bully prevention month, and it became quickly apparent to us that from 2nd graders through high school age kids are knowledgeable in regards all aspects of bullying. They know how to make assertive remarks to bullies and to properly inform adults when they observe bullying behavior. with suicides related to bullying an all too common an occurrence? Kuhl, who’s taught 3rd graders for 31 years at Rogers, feels that it’s pervasive in our society and therefore continually perpetrated and imitated at every level. Thanks to “Defeat the Label,” Michigan school systems have had to implement anti-bullying programs, and it certainly seems like there is increased awareness. But awareness isn’t enough with kids. It’s also a matter of who delivers the message. Having personalities and entertainers from the radio stations they listen to helps pound home the message. When kids are exposed to parents that may bully each other; when they hear politicians leveling mean spirited and often untruthful accusations, our kids are being poisoned. And we at New Oakland will continue to our part to drive that message home.